Hand-blown by skilled artisans, our Glendale Vase features a unique flared design with a thick, sturdy base. Available in three sizes. Never be without a pen or business card in your office with our pen set and business card holder. This will keep you and your business organized in a stylish way. 2 3/4" x 8" x 3"
Always have a pen easily accessible from anywhere on your desk. The pen sits upright so it can be easily seen and picked up. 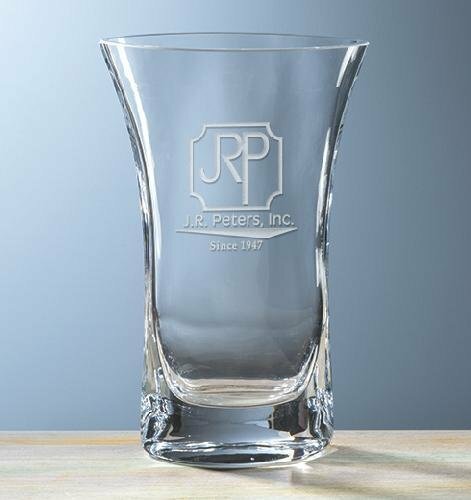 We can engrave the base to give it a personal touch. 2 3/4" x 4" x 3"